The near-infrared (NIR) region is said to extend from 700nm to 2500nm. Due to its unique position in the electromagnetic spectrum the photons in this region have just the right amount of energy to penetrate deeper into substances and hence the wavelengths in this region are extremely useful for inspection purposes. The results have proven that NIR imaging is valuable and low cost technique that has potential applications in the medical, pharmaceutical and food quality assessment fields. Our systems can detect several contaminants such as: plastic, rubber, cloth, etc… that cannot be detected by metal detectors and X-ray devices. 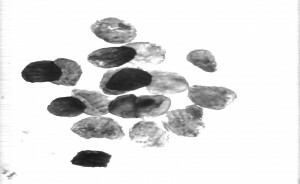 Our novel Near Infra-Red (NIR) imaging technology is an inline inspection breakthrough that can detect many non-metallic foreign bodies in foodstuffs that are normally completely invisible to x-rays … such as fruit pits, stones, plastics, paper and wood etc. It even detects foreign bodies that are notoriously difficult to detect with x-rays, such as thin, low-calcified, chicken bones, bone-fragments and cartilaginous tissue in breast meat, for example. All systems are manufactured according to customer needs and can be easily integrated in existing production lines. 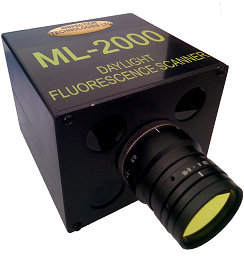 For inline inspection of food products fluorescence imaging can be of great use due to the fact that many organic contaminants and other defects become visible and fluoresce when excited by wavelengths which range from UV, through visible, to near infrared (NIR).